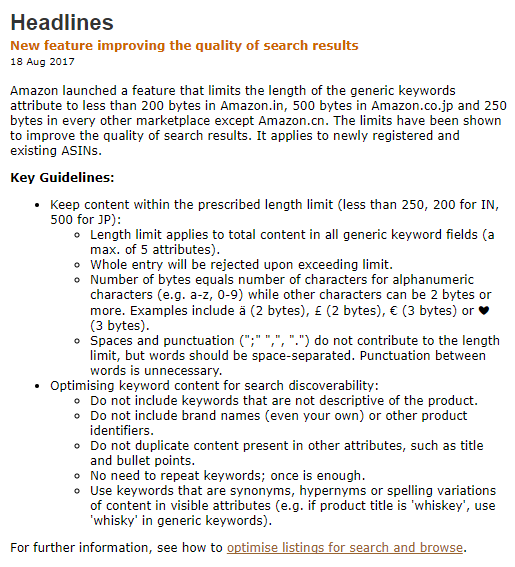 9/18/2017 UPDATE – Since writing this article, Amazon Keyword Update 2017, I have been indexing for 1250 characters across many different categories. Sales were up and we were indexing with no issues. The hammer fell last week as I noticed the last of the categories indexing for 1250 close up and only index for 250.
ow were your sales this weekend? Have you noticed sales dropping off lately? You are not alone. 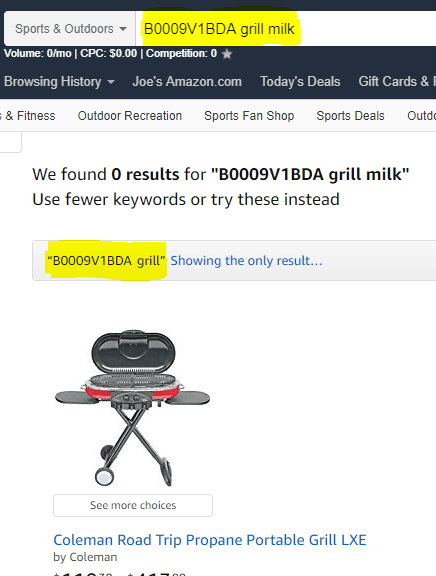 Amazon has been testing new keyword requirements for at least several months. So far it has affected different categories in various ways. Now it’s official. Amazon announced on Friday that backend keyword structure and amounts have changed. Not abiding by the rules causes your entire listing to not index for any of your keywords. We used to recommend filling the backend keyword fields to their max count using long tail phrases, variations, etc… Now, do not go over 250 characters total not including spaces. Several months ago, I noticed issues indexing keywords in the automotive parts category. After weeks of going back and forth with Amazon, I received a call from a group leader, head of AI search. While it was hard to understand what he was saying, thinking back now, it makes sense. Amazon is moving away from massive amounts of keywords and honing in on specific RELEVANT keywords. Semantic phrases commonly used when searching for specific products. Shown below is the new policy and further down I will list some ways to take advantage of it to improve your results. Read it slowly, because in some ways it is a major shift for Amazon. No more than 250 characters total per listing with a max of 5 attributes on Amazon.com. That means no more than 250 characters max not including spaces. Do not use punctuation, do not repeat words or words used in the bullets or title. Use synonyms, hypernyms and spelling variations in the listing itself, not the back-end. If you are not already focusing a good part of your product optimization on keywords and your competitors, you should be. I spoke with a client on Saturday morning, and his sales are suffering right now. I checked his keywords; he had 1000+ characters in one attribute. That did not including the amounts in the other attributes. He was indexing for none of them. I tweaked his keywords focusing only on 250 per listing. Just to get him indexing for his best keywords as fast as possible. By Saturday afternoon, his listings were indexing again and received sales. There are plenty of tools out there to use. But an easy way to tell if you are indexing for specific words is to enter the words and your asin in the Amazon search bar. Here I use an example of a grill. I entered grill the asin, and milk. Look below, and it says that this asin is indexing for the asin and the word grill only. The goal of this re-alignment lies in the bottom half of the announcement, “Do not include words that are not descriptive of the product”. That is a bit restrictive. You can debate if that includes benefits or not. Rule of thumb would be relevance. If it is relevant to the product, then it may be useful in a search looking for the product. “Do not include brand names (even your own) or other product identifiers”. Who doesn’t target their competitors in their keywords? 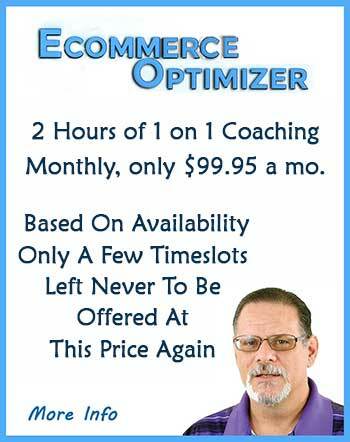 I rely on the optimization of the listing and only target competitors brands when I have a specific short-term goal. It is standard practice. It’s one of those ok yesterday but not today type hacks that now will cause millions of sellers to remove other brands from their listings. I cut back on that stuff long ago because, with as many listings as I cover, I’d be scrubbing keywords for 2 weeks. With keyword real estate now down to such a small area, it is even more important to not duplicate words. I would list those as “kitchen grill tongs”. That actually still makes good semantic sense as a phrase but that doesn’t really matter as much anymore. If you listed them as tongs grill kitchen, which semantically makes no sense, a search for kitchen tongs would still produce the desired results.